"He is literally bouncing off the walls." Caitlin Cimini doesn’t know exactly what happened to the baby goat, but the story she got was pretty strange. 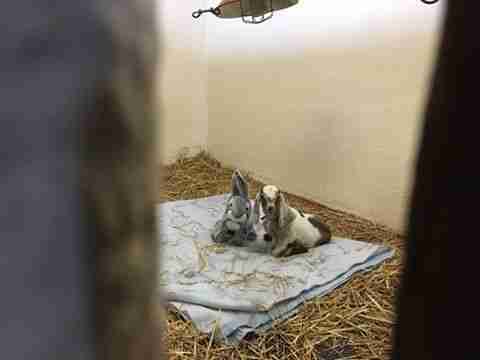 Apparently, the baby goat was born on a New Jersey farm in the middle of a snowstorm, and abandoned by his mom. 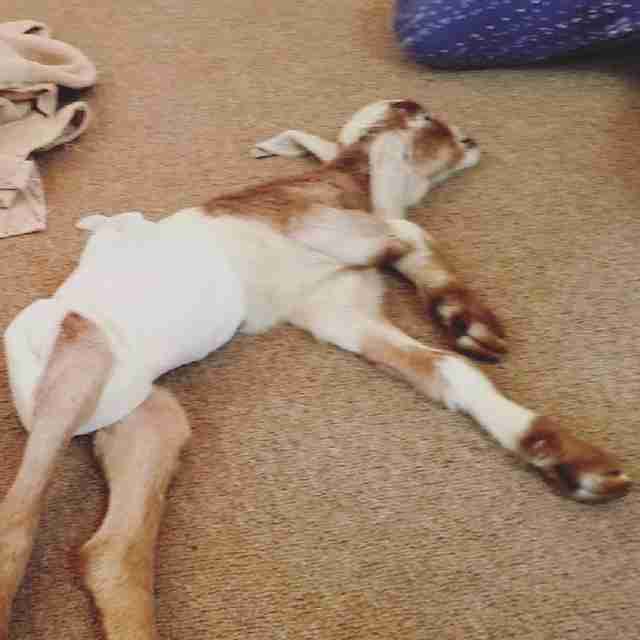 When the farmers eventually found the baby goat, he was half-dead and frozen to the ground. 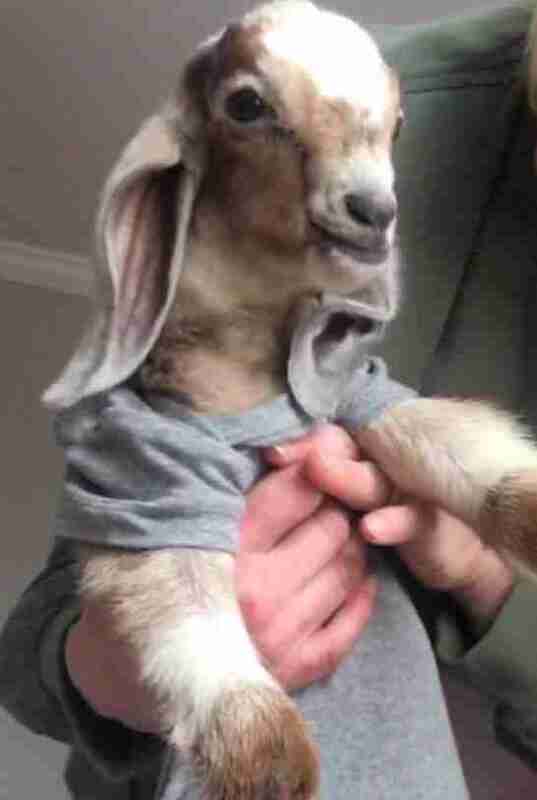 So the farmers scooped up the goat, took him inside their house and put him in the oven. While placing a hypothermic animal in the oven — with the door open — has saved lives before, it’s definitely a very risky technique. “It’s seriously one of the most dangerous things you can do because you can’t regulate temperature in the oven,” Cimini said. 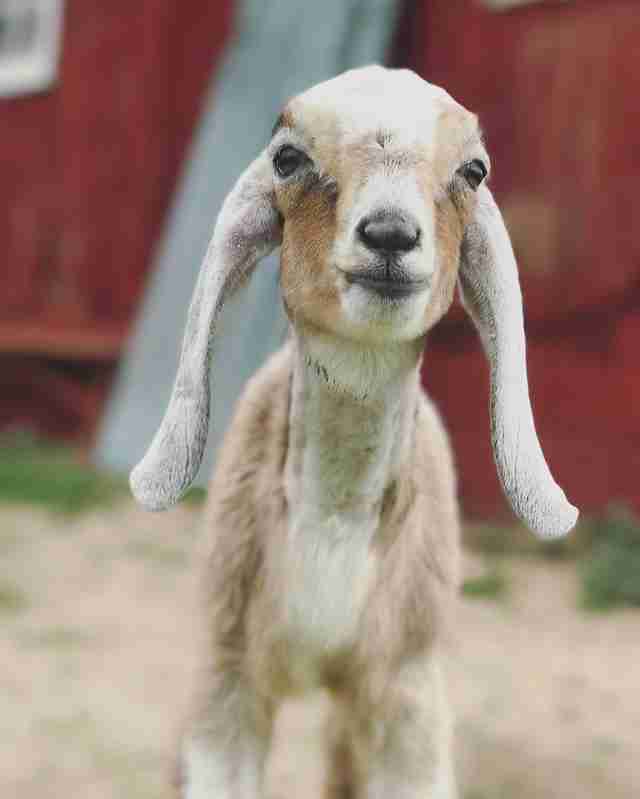 Yet miraculously, the goat — who would later be named Toast after his unusual start in life — came back to life. But the farmers noticed that Toast couldn’t move his back legs — he was paralyzed. 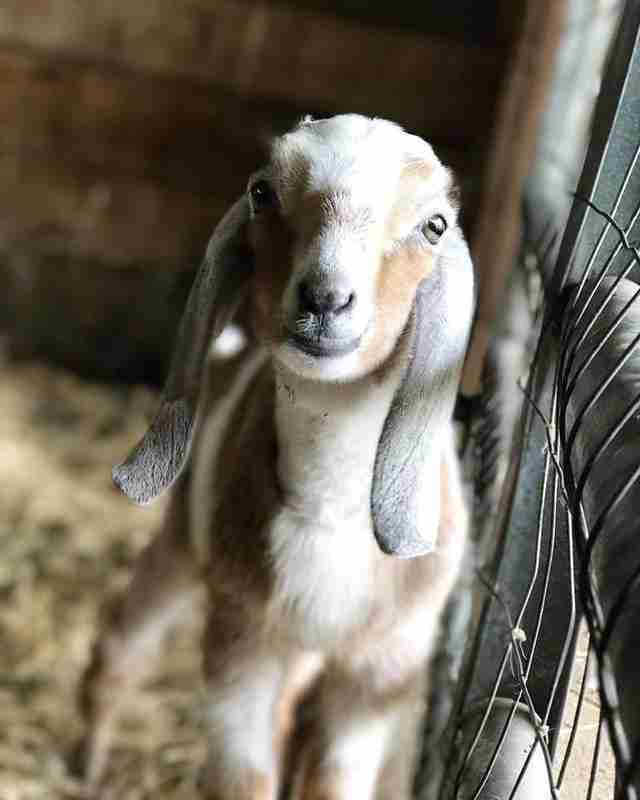 Leanne Lauricella of Goats of Anarchy first rescued the goat, according to Cimini, but Lauricella couldn’t take in any more goats at the time. So she asked Cimini to take him to her sanctuary, Rancho Relaxo. Since Toast was paralyzed, Cimini assumed he’d need a special cart to get around, and she looked into getting one made for him. 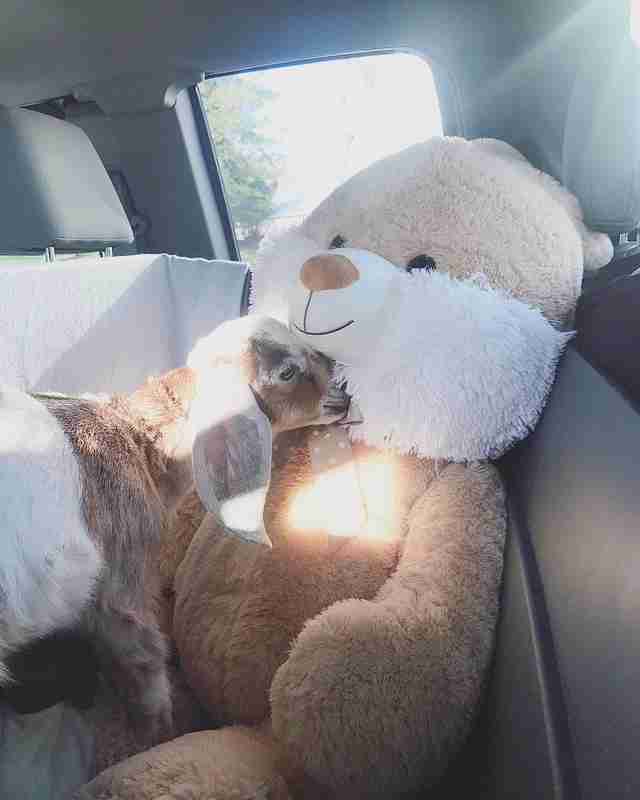 But when Cimini picked up Toast, the goat had a high fever, so she took him directly to the vet. The vet team stabilized Toast, and, while he was in their care, they examined his back legs and gave him injections in his joints. There was also a high chance that they’d need to amputate, Cimini explained. Amputation wasn’t going to be the end of the world, since Cimini expected Toast to be in a cart anyway. But she was still nervous about his overall health, and she called the vet every day to learn about his progress. Then, a couple days later, the vet called Cimini. 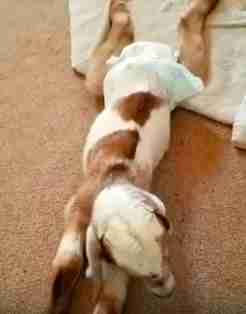 “The vet said, ‘Caitlin, I just want to let you know that he started kicking out his back legs a bit. He can’t stand, but he’s moving them,’” Cimini said. Cimini was astonished, but cautiously optimistic. How could a paralyzed goat start moving? After a few more days passed, the vet called again. 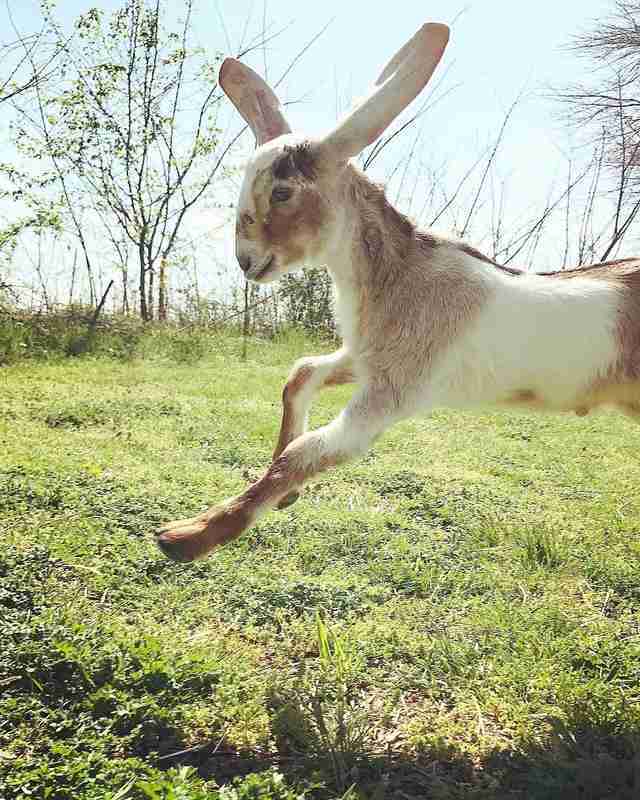 Not long after that, Toast was walking — and running and jumping and doing everything a normal goat could do. No one really knows how Toast managed to recover — the vet team can’t even explain it, according to Cimini. But Toast now lives a very normal life. 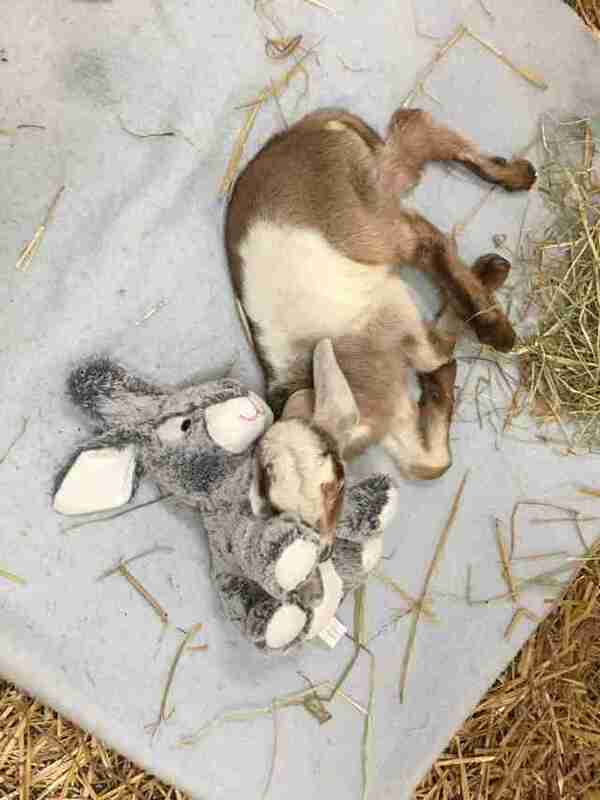 Even with Toast feeling better, he still loves cuddling with his stuffed rabbits, Cimini said. Toast also loves hanging out with the two other baby goats at the sanctuary, but he frets when people aren’t around him. 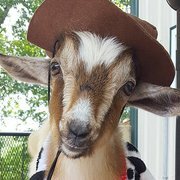 To help Rancho Relaxo rescue more goats like Toast, you can make a donation.